In the wake of Israel’s massacre of protesters in Gaza on Monday, the move to boycott Israeli academic institutions is gaining strength in Australian universities. 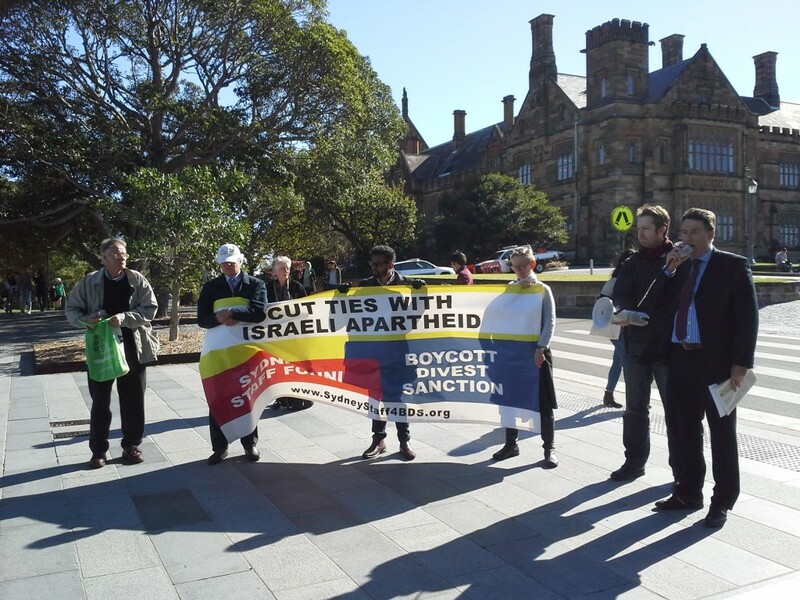 Last month, 37 staff at the University of Sydney made Australia’s largest ever public commitment to boycott Israeli academic institutions. That figure has now grown to 57. At the University of Wollongong, 32 members of staff have pledged to sever ties with Israeli academic institutions. The pledges follow the principles of the international boycott, divestment and sanctions (BDS) campaign, an international solidarity movement inspired by the success of boycotts in bringing an end to apartheid in South Africa. 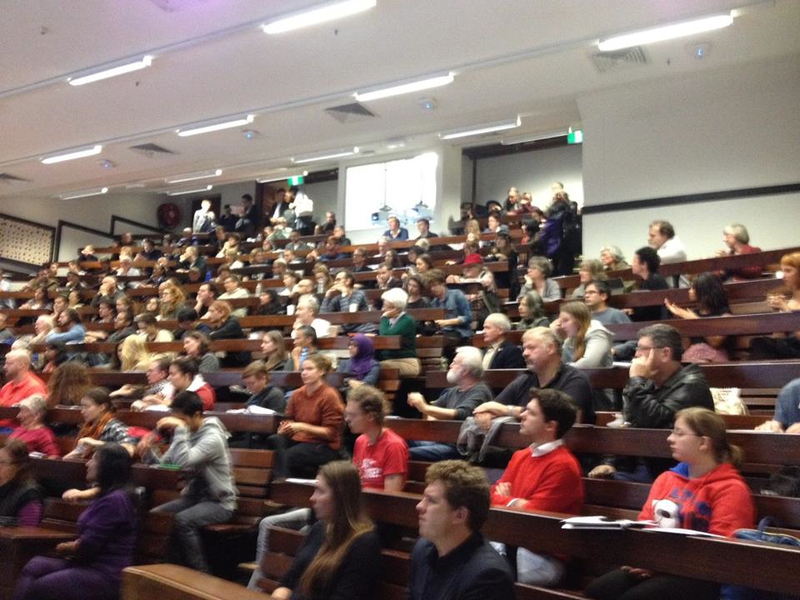 While many academics in Australia have committed to the academic boycott, the 89 joint Sydney/Wollongong signatures represent the most serious public support for academic BDS ever seen in an Australian universities. The signatories undertake to break all official contact with Israeli universities until Israel ends its occupation of UN-defined Palestinian land, grants full equality before the law to Palestinian citizens of Israel, and recognizes Palestinians’ right to return to the homes from which they were expelled in the 1948 war. Signatories will not attend conferences sponsored by Israeli universities, participate in academic exchange schemes, or otherwise collaborate professionally with Israeli universities until these goals have been fulfilled. The pledge concludes by stating that signatories ‘look forward to a time when Israel is prepared to negotiate seriously and in good faith with Palestinians, and civil society actions like the boycott are no longer necessary’. At both the University of Sydney and Wollongong, support for Palestine is strong among students, with active student support groups. 111 Palestinians have been killed and 13000 injured in the protests at the Gaza border fence since March 30. On Monday, the IDF killed 61 people, the youngest of whom was an 8-month old, Laila al-Ghandour, who died of tear gas inhalation. Contact: Nick Riemer, University of Sydney, 0481 339 937, nick.riemer@sydney.edu.au; Marcelo Svirsky, University of Wollongong, 0437 890 005, msvirsky@uow.edu.au. Israel’s recent killing of protesters in Gaza has led staff at the University of Sydney’s Faculty of Arts and Social Sciences to make Australia’s largest ever public commitment to boycott Israeli academic institutions. With Palestinians in Gaza preparing for their third consecutive Friday of protest in support of their right to return to their homes, thirty seven academics in the Faculty of Arts and Social Sciences have publicly signed a pledge to break ties with Israeli academic institutions. The pledge follows the principles of the international boycott, divestment and sanctions (BDS) campaign, an international solidarity movement inspired by the success of boycotts in bringing an end to apartheid in South Africa. While many academics in Australia have committed to the academic boycott, the thirty seven Sydney University signatures represent the most serious public support for academic BDS ever seen at an Australian university. Twenty nine Palestinians have been killed and over one thousand injured, including hundreds wounded by Israeli snipers, in the protests so far. The Sydney Staff for BDS group is continuing to collect signatures for the pledge. A major national conference on the boycott, divestment and sanctions campaign for Palestine will be held at the University of Sydney this week. Predictably, the conference has been met with stock accusations of anti-Semitism. With the baselessness of that charge increasingly apparent, it’s a good time to consider a more ­serious objection to academic BDS: the idea that academics’ duty is to privilege dialogue and debate, not boycott, as the pathway to a more peaceful world. The Department of Peace and Conflict Studies at the University of Sydney, Sydney University Staff for BDS, and a range of pro-Palestinian organisations including the Australia Palestine Advocacy network (APAN) are calling on supporters of Palestine justice, both activists and researchers, to participate in a two-day conference, ‘BDS – Driving Global Justice for Palestine’, which will be held at the University of Sydney on 28-29 July, 2017. Registration is open and free. Register now! View the final programme and speaker list. The conference starts at 9.00 on Friday July 28 and runs until 5.30 on Saturday evening. 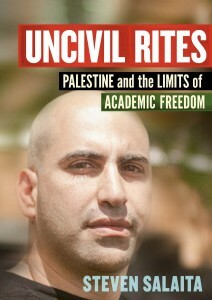 Yousef Munayyer’s plenary will be at 6.30pm on Friday evening. Click here to add your name to this petition. It has recently come to our attention that the festival has received support from the Israeli embassy for one of its panels (Assaf Gavron: The Wild West Bank). We have no objection to the author or his work, but rather to the institutional relationship that brings him to the festival. Sustaining a partnership with the Israeli embassy at this time serves to normalise and legitimate Israel’s many violations of international law and Palestinian human rights. In 2008 an Israeli invitee to the festival revealed that Israel’s Ministry of Foreign Affairs offered funding for his visit to Sydney on the condition that he would “promote the policy interests of the State of Israel via culture and art, including contributing to creating a positive image for Israel.” Whether or not such contracts are still in use today, the purpose of Israeli sponsorship remains the same: to use culture to whitewash Israel’s image abroad. This year’s festival theme asks the question “How to Live?” We reply: by avoiding complicity with historical and ongoing injustices, with practices of occupation, colonialism, and apartheid. The people of Gaza are still struggling to recover from the bloody 51-day assault last year, which left over 2100 Palestinians – including around 500 children – dead, displaced a fourth of the population, and involved numerous potential war crimes. The world’s silence towards this atrocity has only emboldened Israel’s war camp: this month saw the election of an extreme right-wing government with ministers who have publicised calls for the genocide of the Palestinians. While we in Sydney celebrate the pleasure of reading, Israel denies this same pleasure to the Palestinians. 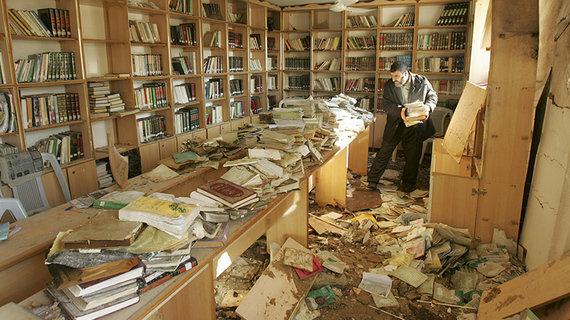 Along with schools and universities, the 2014 assault also destroyed two libraries in Gaza, and Israel’s blockade of the Palestinian territories regularly prevents shipments of books from reaching readers. The occupation also restricts the ability of Palestinian writers to travel abroad to festivals such as yours. Since 2005, Palestinian civil society has called on people of conscience around the world to engage in a peaceful campaign of boycotting, divesting from, and sanctioning Israel in order to force it to comply with international law. The BDS movement has grown exponentially since then, attracting support from a range of cultural and literary figures around the globe, including Naomi Klein, Arundhati Roy, Cornell West, and John Pilger. We appeal to the organisers of the Sydney Writers’ Festival to withdraw the current sponsorship arrangement with the Israeli embassy, and henceforth to refrain from collaboration with it. This is not, we emphasise, a call to isolate or boycott individual Israeli authors, but to renounce business as usual with the organs of a state that routinely violates international law and basic human rights with impunity. As was the case in South Africa, where international solidarity played a crucial role in bringing down apartheid by boycotting the economic, sports and cultural institutions of the apartheid regime, we request that you not partner in any capacity with the Israeli government and other complicit institutions, until Israel fulfils its obligations under international law and recognises the Palestinian people’s right to live in full equality and freedom in their homeland. This coming Monday, Sydney University will hold its Sydney Abroad Fair, where members of the “Australian Friends of Hebrew University of Jerusalem” will be promoting Israel as a study abroad destination. Our official relationship with Hebrew University of Jerusalem (HUJ) confers legitimacy and prestige on an institution globally recognised as a violator of Palestinian human rights. HUJ has direct links with the Israeli State, contributing to its military programme, actively participating in the illegal occupation of Palestinian land, and denying rights to Palestinian students. In 2014 HUJ gave full public support to the assault in Gaza that killed more than 2,200 people, including more than 500 children. It has expanded its Mount Scopus campus onto land illegally confiscated from Palestinians in East Jerusalem. 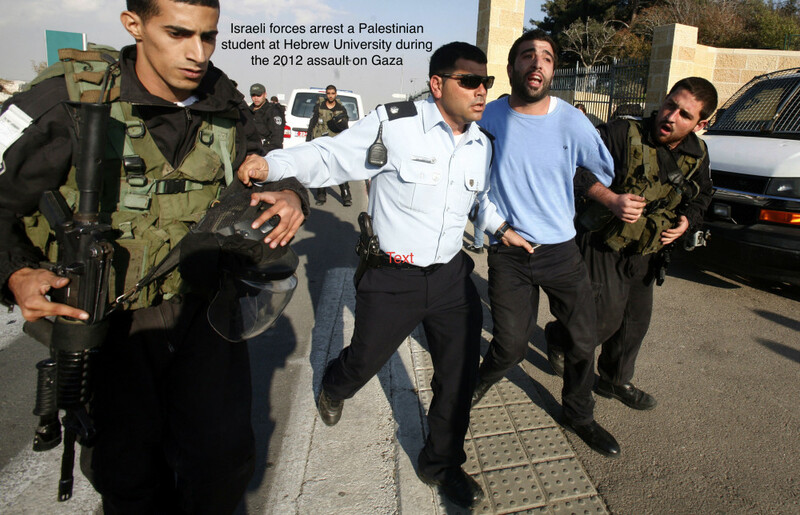 HUJ allows admission to few Palestinian students, and those that it does admit have their freedom of speech and right to protest restricted. HUJ’s record is no secret and academic institutions internationally are beginning to act. Last month staff and students at London’s prestigious School of Oriental and African Studies voted overwhelmingly to cut all official ties with HUJ. It’s time that Sydney University did the same. Join us at 1pm on Eastern Avenue to speakout against Sydney University’s exchange partnership with Hebrew University, and to call on our institution to cut all ties with Israeli apartheid. Members of Sydney Staff for BDS will be leafletting at the Sydney Abroad Fair from 11am onwards. Please get in touch if you’d like to help out!